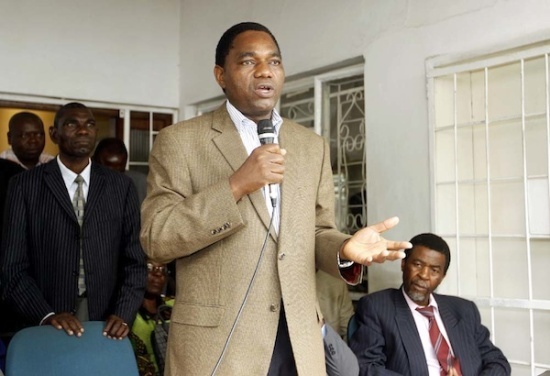 United Party for National Development (UPND) leader Hakainde Hichilema says Zambians need a generational change of leadership and not being taken backwards. Mr Hichilema says the Patriotic Front went into government without a plan for the country, but for purposes of sharing jobs amongst themselves. Speaking to Q fm, Mr Hichilema says the Patriotic Front lied to the people on a number of things which they have failed to fulfill. Mr. Hichilema points out that miners and mine contractors have lost jobs, while mealie meal prices have gone up among other things which is a clear indication that the PF has failed to run the country. He says he warned the people of Zambia against voting for the PF in the 2011 elections and that he is now being vindicated. Mr. Hichilema adds that President Michael Sata has changed from being a man of action to man of negative action.